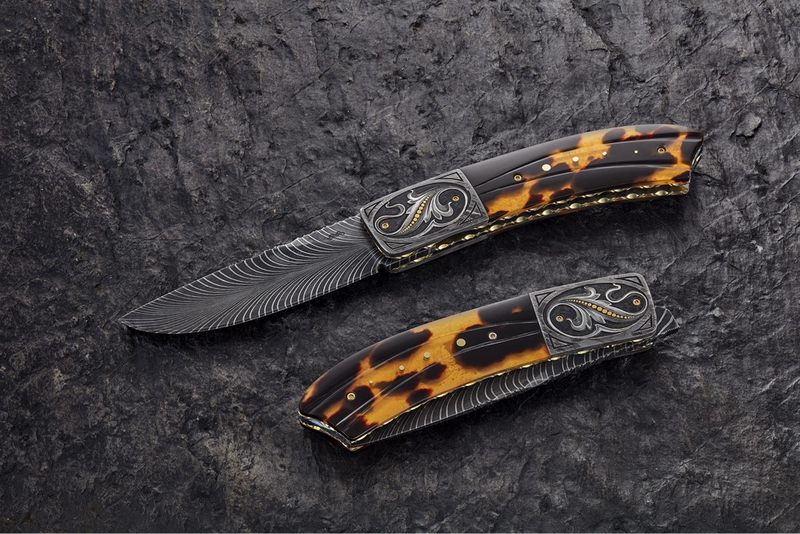 A Damascus steel Liner-Lock Folder with a total length of 20,5 cm / 8.1 inch of with the Blade 8,5 cm / 3.3 inch. Material: Tortoise shell (CITES certificate) and decorated with golden pins. Bolsters are engraved with Art Nouveau ornaments by Bram Ramon.